20 of THE BEST Valentine’s Day Ideas and Activities that you must-try this year! From cards and candy to cupcakes and more! Cards, candy, crafts and more! 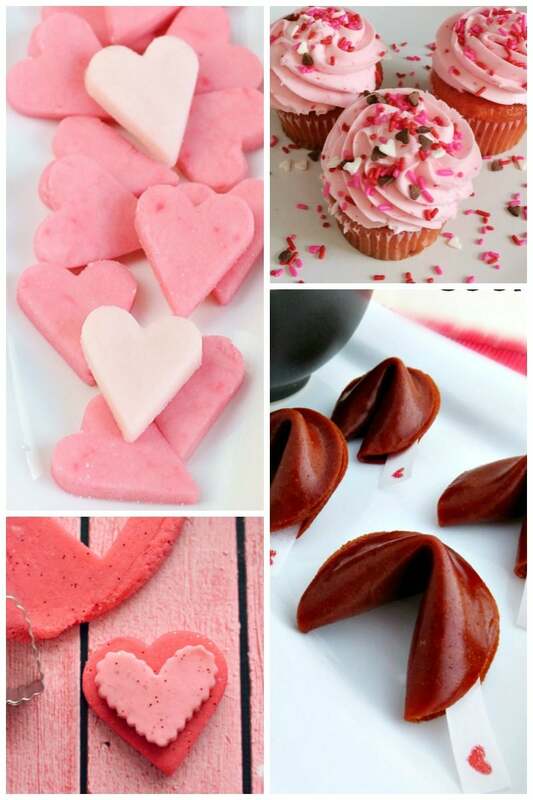 Valentine’s Day is a time to pull out all things crafty, pink and delicious! All Things Mamma has scoured the internet and found 20 of THE BEST Valentine’s Day Ideas that you must-try this year! Make sure to PIN for later, too! Just click that little “P” button up above or to the left in the social icons. Easy peasy! Red Velvet Cupcakes This is THE BEST Red Velvet Cupcake recipe you’ll try and it’s from right here on All Things Mamma! Valentine’s Day Chex Mix Recipe This sweet and salty snack from My Boys and Their Toys makes the perfect Valentine’s Day snack! Homemade Valentine’s Day Cards: Melted Crayon Hearts Have a few broken crayons laying around? Here’s the perfect way to use all those little pieces AND make a fun DIY Valentine’s Day Gift! Grab a heart silicone mold and whip this fun craft from Mom Luck up in no time! Valentine’s Day Sun Catchers Here’s another great way to upcycle your crayons and wax paper with these fun Sun Catchers that make the perfect Valentine’s Day decoration! 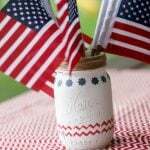 The Suburban Mom has the DIY for you! Free Printable Love Wheel Card Here’s a fun activity that you can do with the kids or your Valentine! Sweet T Makes Three has a FREE printable for you to use! Cupid Bites A Cowboy’s wife gives you the rundown on making this sweet treat that can be bagged up for the cutest Valentine’s Day gift! Rainbow Loom Valentine’s Day Cards These adorable cards are fun for any age! Use this FREE printable from The Suburban Mom and make your own! Cardboard Roll Heart Stamps This easy and fun craft is perfect for a rainy day! Grab an empty cardboard roll, some paint , paper and start crafting! Baby Loving Mama has the whole deal on her site! Cherry Vanilla Cupcakes Cupcakes decorated with hearts and pink icing just scream Valentine’s Day! Try these Cherry Vanilla Cupcakes from Sippy Cup Mom! Homemade Glitter Play Dough Momdot shares how to make this pretty in pink play dough that is glittery and smells great over on her blog! Heart Cream Filled Brownies Brownies covered in chocolate and filled with cream formed in a heart mold ! YUM! 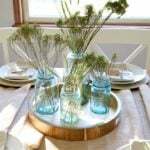 Saving Dollars and Sense has the DIY! 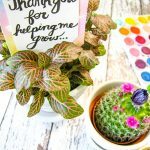 DIY Surprise Valentine Make these fun Valentines that has a fun pop up surprise in each one from right here on All Things Mamma! Using scrapbook paper and envelopes, you can create this fun craft! Hearts Filled with Love Use these FREE printable hearts from A Spectacle Owl for coupons, encouraging quotes and more! Valentine’s Day Pancakes Start your day off right with making your Valentine pancakes ! Mom Start shares her recipe over on her blog! Fruit Roll Up Fortune Cookies Give your Valentine a treat with these Fruit Roll Up Cookies from Mommy Musings! Candy Free Valentine If you’re looking for an easy candy free valentine, Really, Are You Serious has you covered with this Silhouette Craft! Homemade Sugarless Heart Mint Candies Mom Foodie has the perfect sugarless candy mints for your Valentine’s Day. Check it out! Printable Super Hero Valentine’s Cards What kid wouldn’t love these FREE printable Valentine’s Day cards from Generations of Savings?! DIY Valentine’s Day Cards These fun pop-up cards will make anyone happy this Valentine’s Day! DIY Valentine’s Day Pillow Box Printable Read. Write. Mom! has this adorable craft that can be filled with sweet treats for Valentine’s Day! 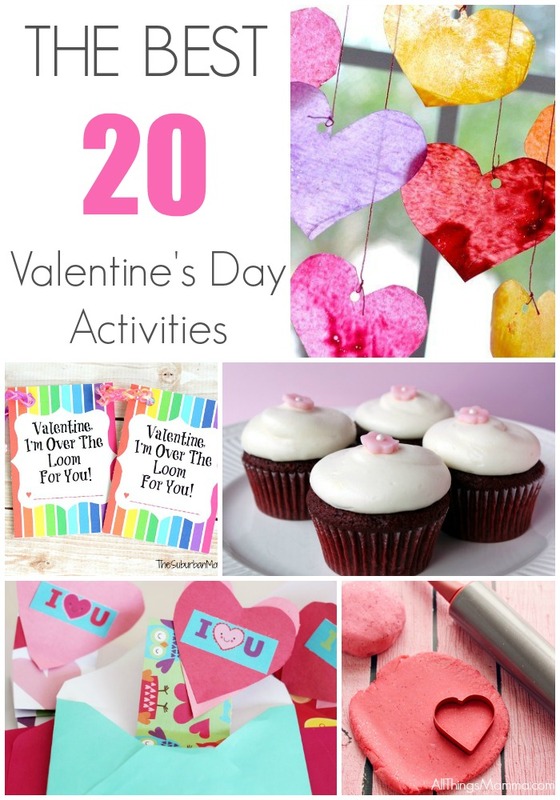 Whether you’re looking for cards or candy, cupcakes or crafts, there’s a Valentine’s Day Idea right here! right here on All Things Mamma! Thanks so much for featuring my pillow box! You are so welcome! Thanks for sharing! !